20mm Golden gravel chippings. Supplied in crane-offloaded bulk bags. Please note this is a natural product and as such colours and shapes may vary. 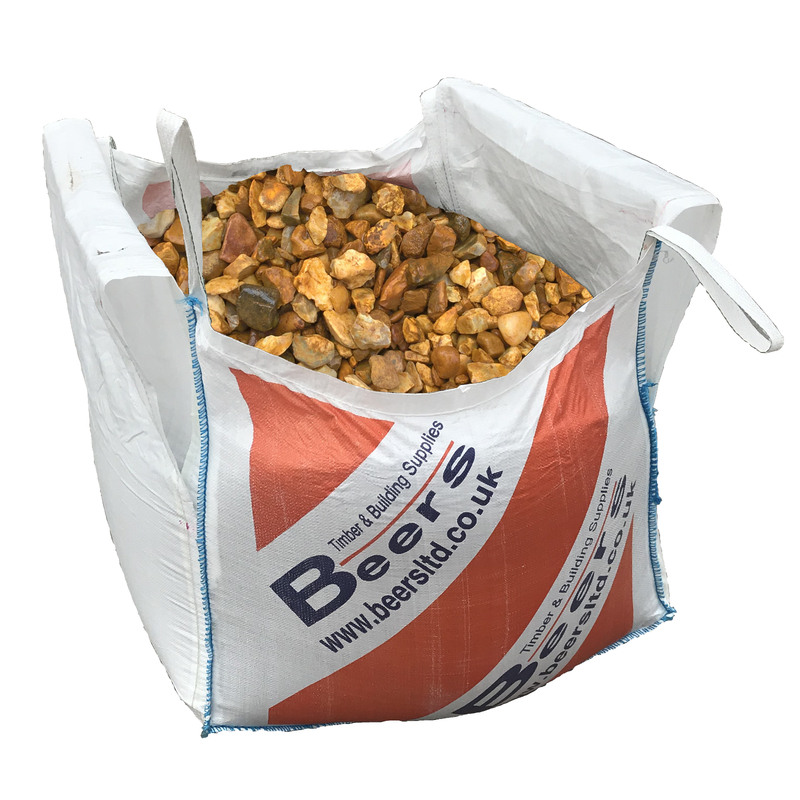 Cream and honey coloured gravel chippings, commonly used decoratively on driveways, patios & borders.